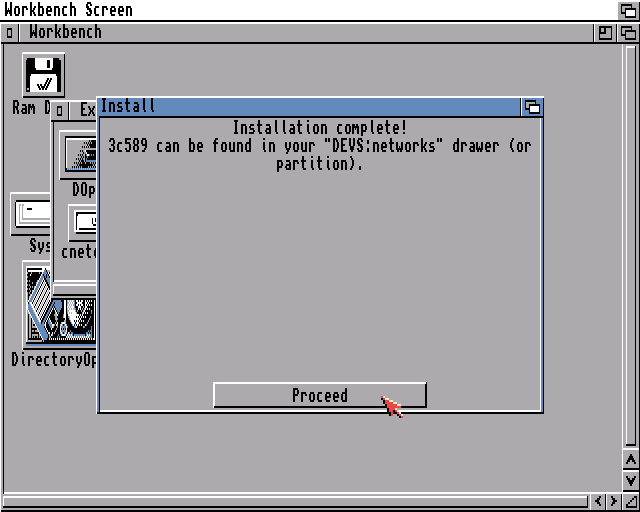 The installation of network stack, drivers etc isn’t all that bad once you know how things should be done. But it can be quite confusing if you haven’t tried it before. 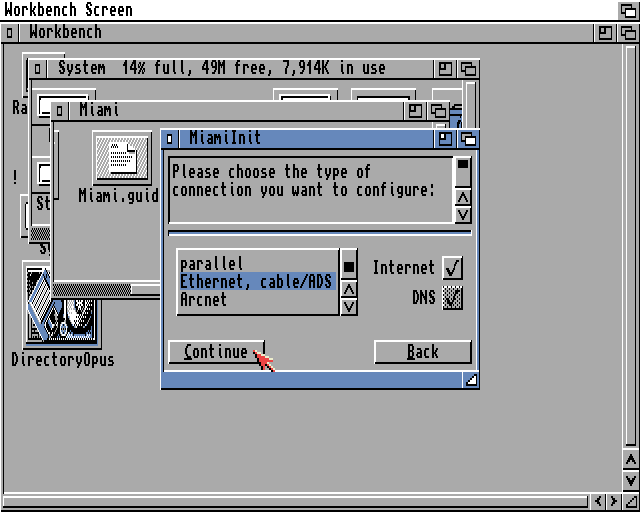 The primary focus on this document is getting wireless network up running, but I’ll cover wired network as well. I’ve chosen the Miami 3.x version for this guide to cover 68000 binaries. 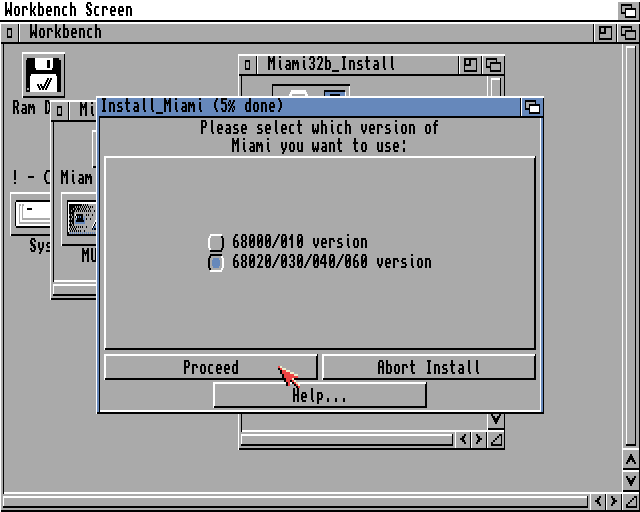 The MiamiDX package requires a 68020+ processor, but feel free to use this instead, the Installation procedure is almost identical. 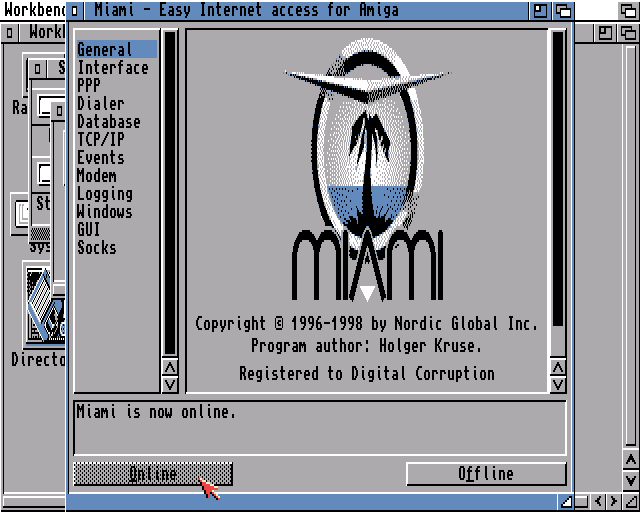 The author of Miami has OK’ed that the software be used freely, something about he lost the code generator or source or something. 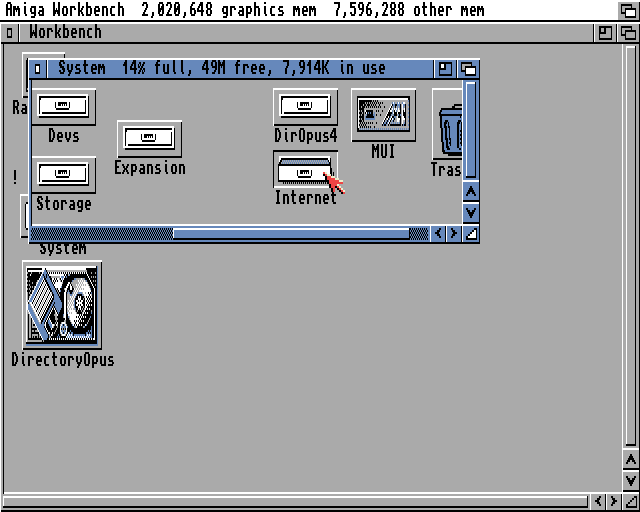 There is a nice website named Keyring where the keys for this software can be downloaded. 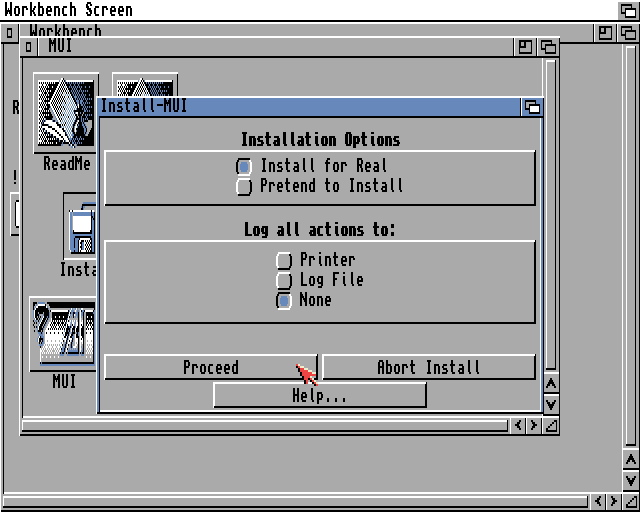 Though I’ve also added them to the AIO Package below. 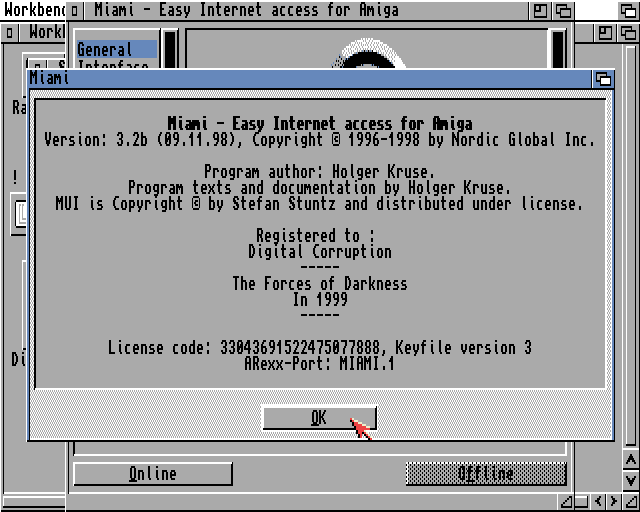 You’ll need to download a few things off aminet, + getting some keys. 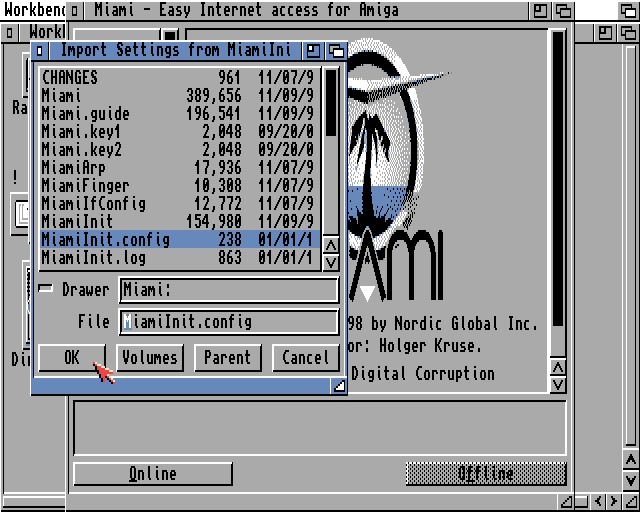 I’ll also provice a full download package, but make note that this package might not be up to date if a new driver/package is updated on aminet. 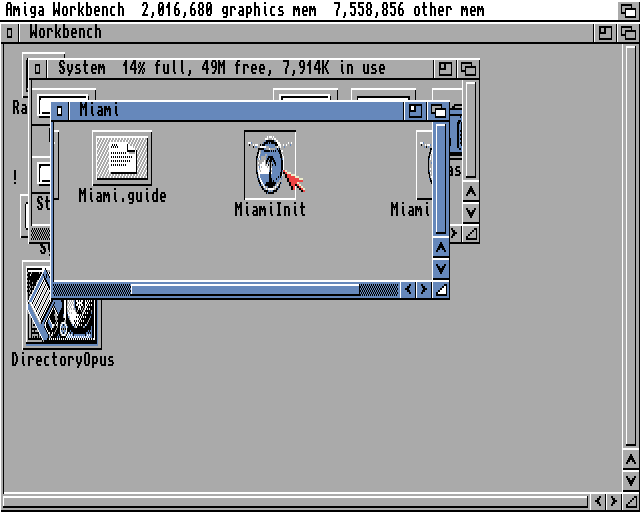 You should already have a running Operating System, preferably OS31. 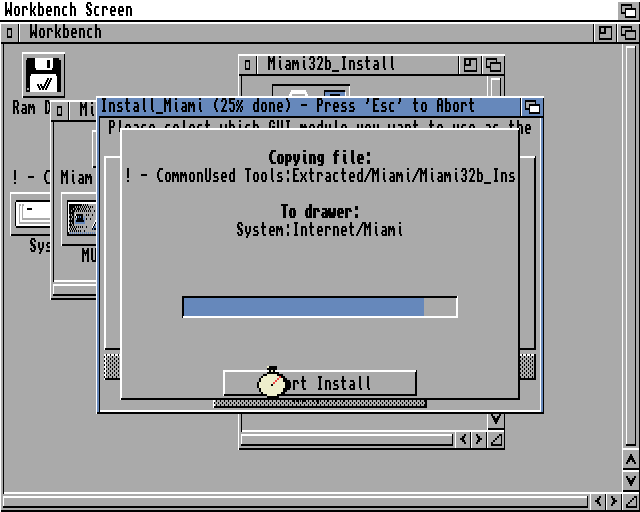 Installer43_3 from aminet, lha to extract packages. 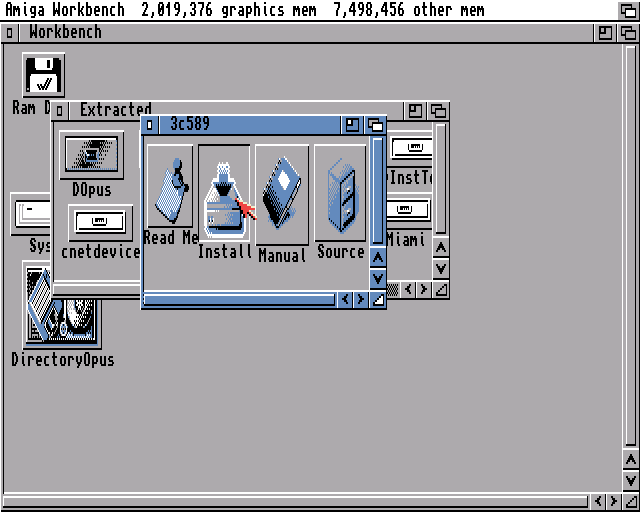 Directory Opus or Diskmaster are useful too. 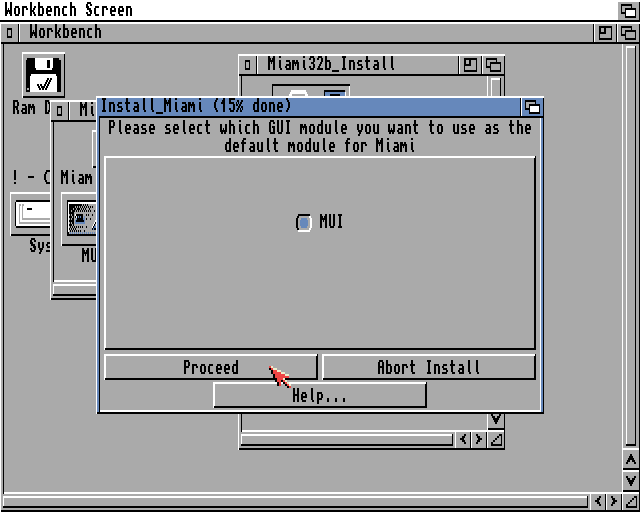 I will only cover the MUI based installation of the Miami TCP/IP stack. 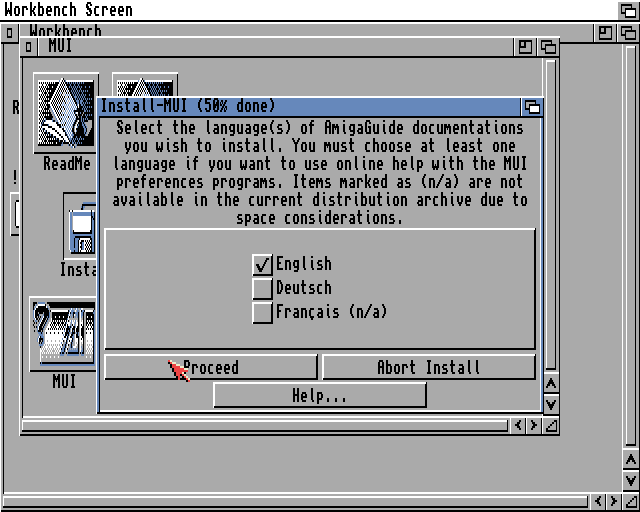 Or you can download each package individually. 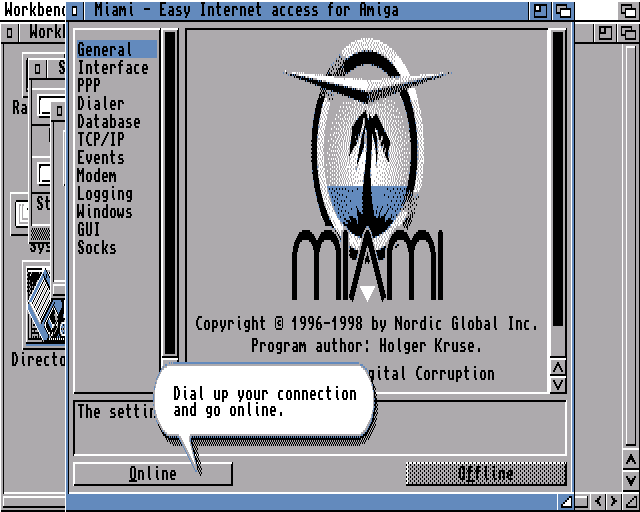 Lower you can find some Internet software packages which might be useful to you. You’ll need the registration keys too. 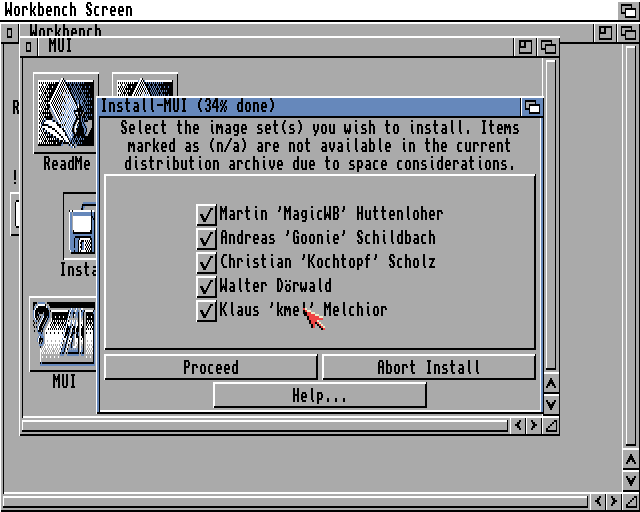 Network drivers – Select only the one you need, and you can skip the installation for those sections. 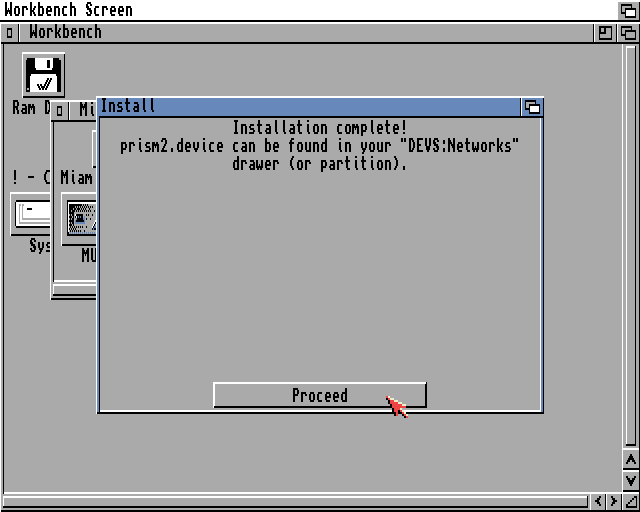 prism2 WEP compatible wireless – Use prism2v2 if possible. 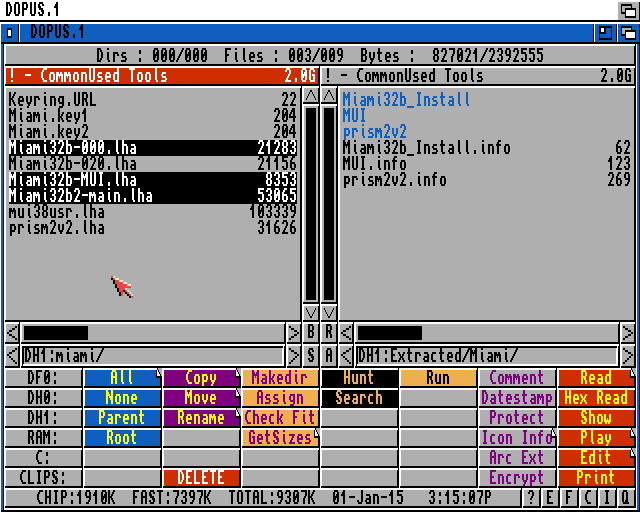 AmIRC (68000 binary) IRC client binary for the AmIRC package above. Just overwrite the contents of the full package with this package. 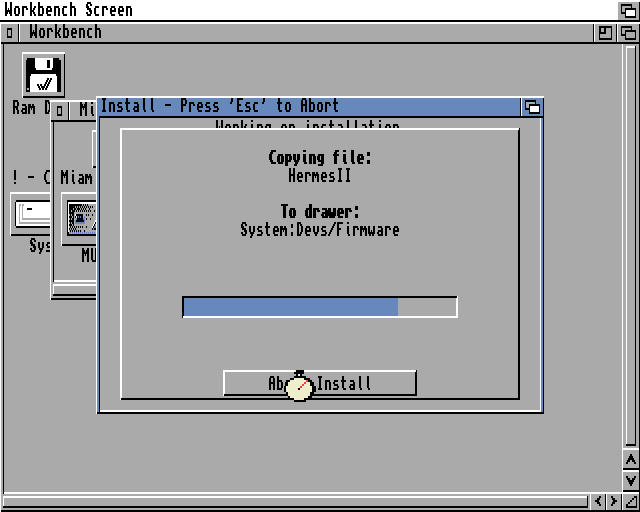 As I mentioned earlier you should already have a running system with lha, installer43_3 (search aminet for lha.run selfextracting package, and installer43_3). 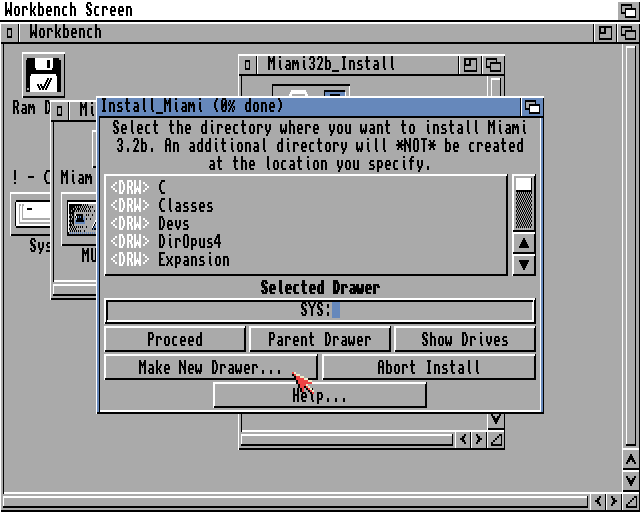 The following images show the extraction using Directory Opus (all Miami packages needs to be extracted into the same folder). If you’ve downloaded my compiled packaged you can skip this step and just extract that package. 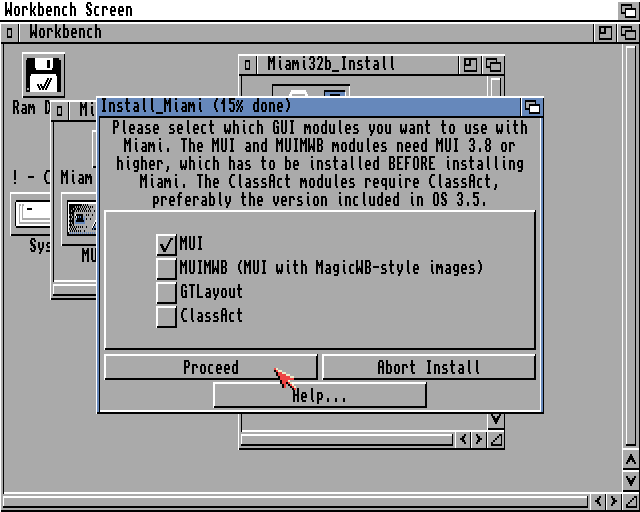 The Miami package has a couple of frontends, but I’ve chosen MUI as I’ve seen this requirement more often than any of the other choices. 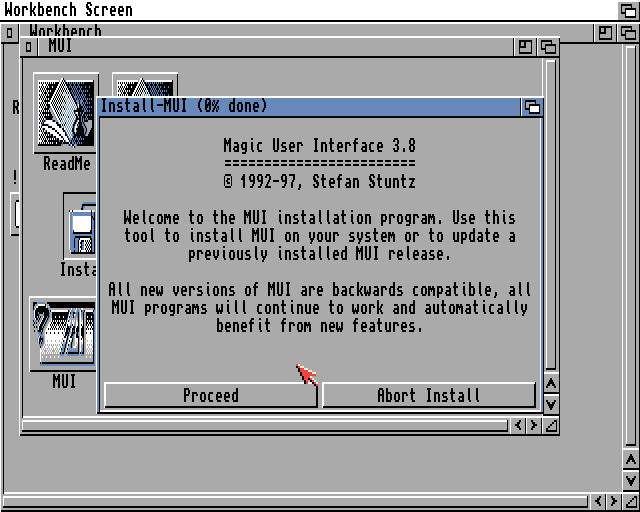 The MUI package is a framework for developers to make it easier to make a GUI, it is also required for using the software created for MUI, kinda the same as Microsoft’s .net framework, JAVA etc. 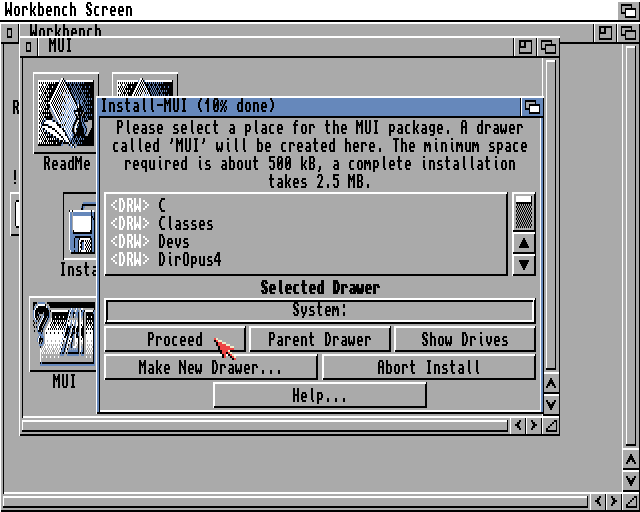 If you already know how to install a program, or it’s already installed (if you’re using ClassicWB) you can skip this section. 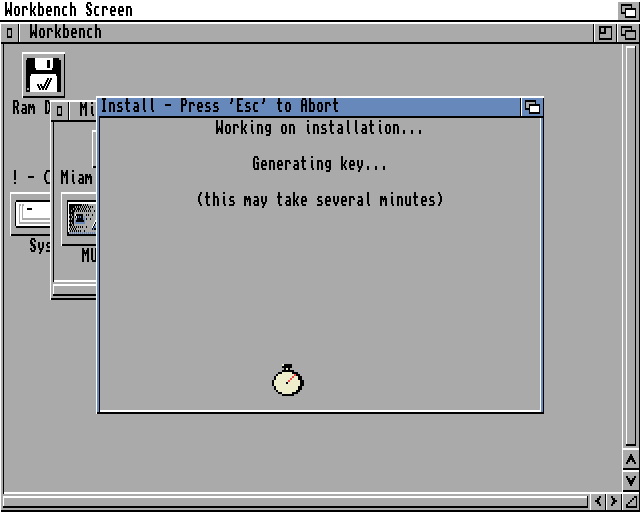 It is really simple, but I’m providing screenshots of the procedure anyway. 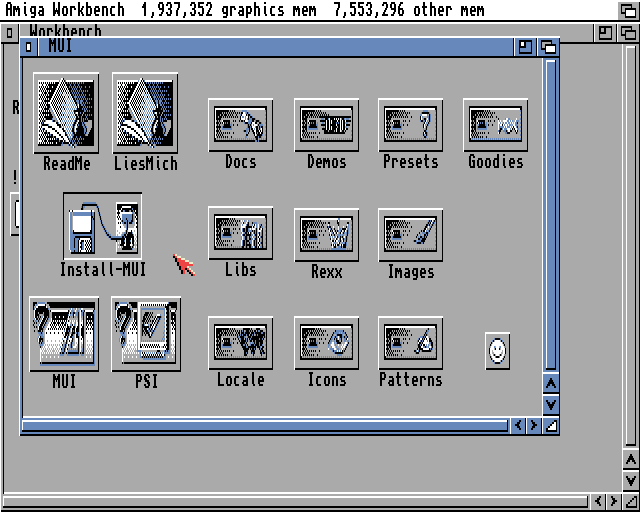 You can click here to jump to next section. Proceed, Proceed, Proceed.. I warned you. It’s so simple. 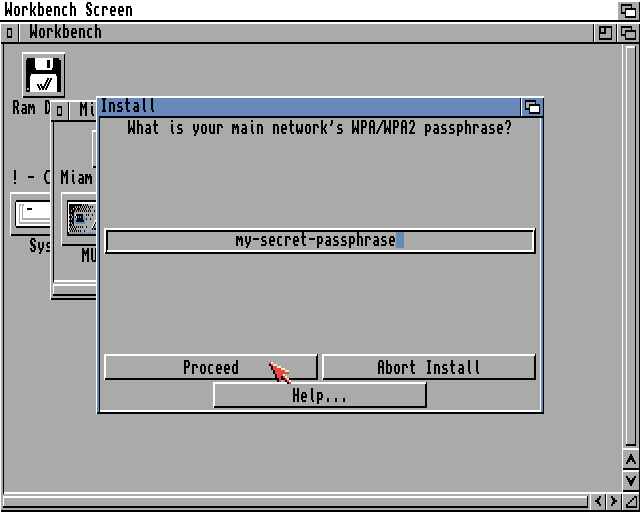 This is almost as easy as installing MUI, though you’ll have some options here, like entering the SSID + Passphrase. 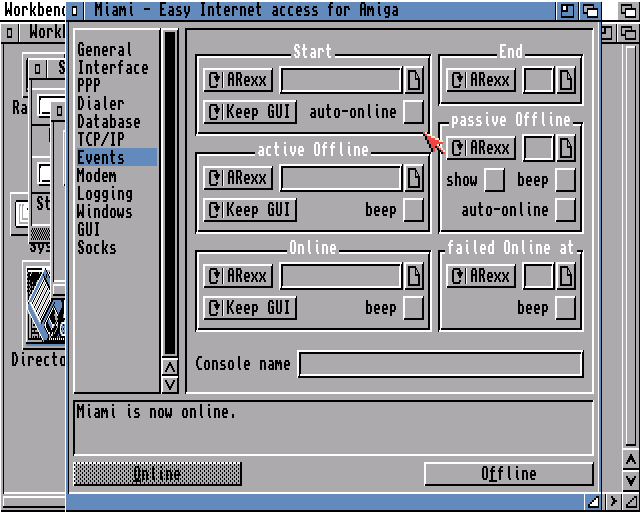 This is where you enter your SSID – Make sure you enter the correct one as you’d otherwise either need to re-encrypt the combined passphrase, or just do what’s easier. 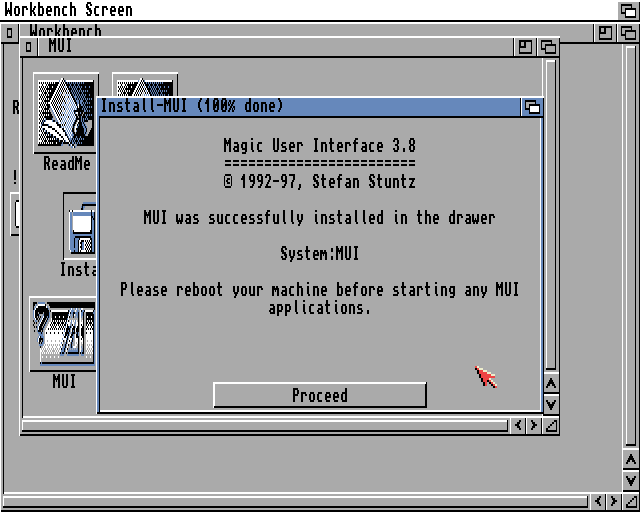 Reinstall this package and enter the correct info again. 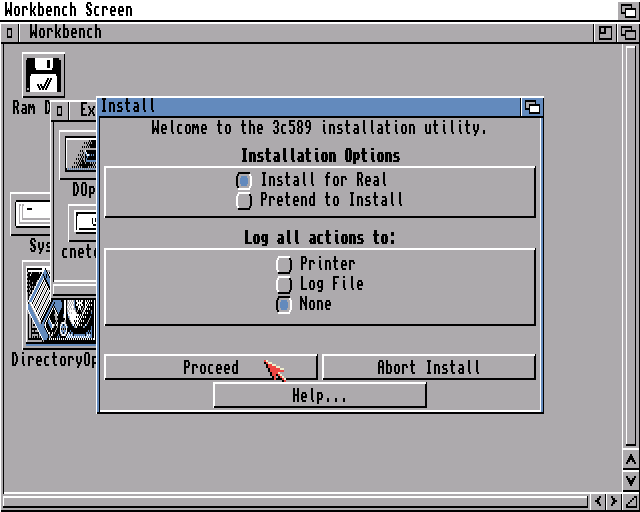 the config file for this setup is ENVARC:Sys/Wireless.prefs If you edit the SSID manually you’ll need to re-encrypt again (not covered in this installation guide). 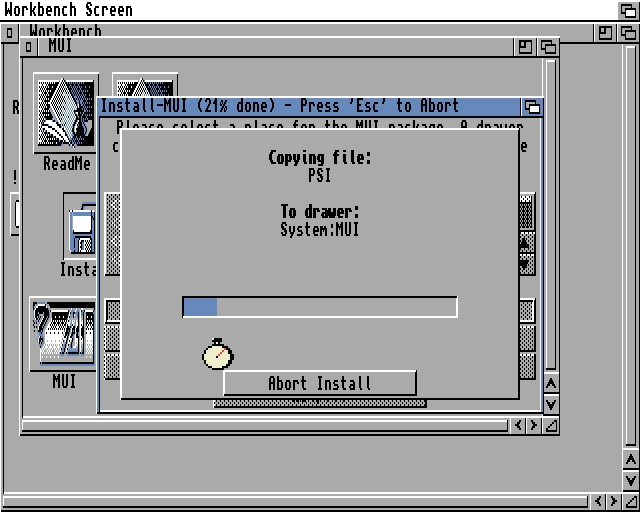 There is an Installer with this driver. And you’re done.. easy isn’t it? 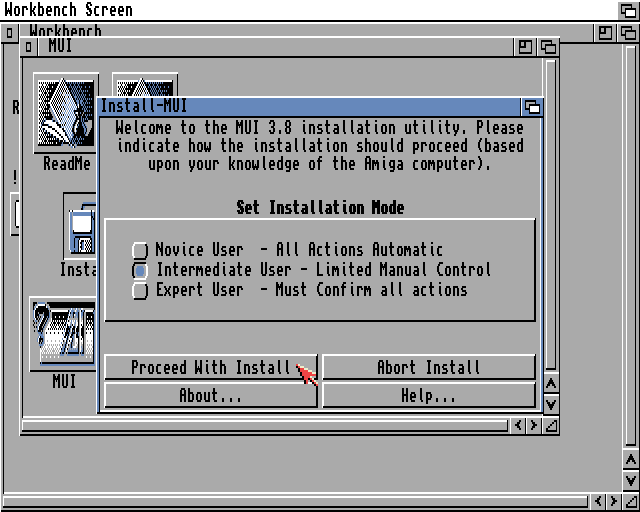 Now would be a good time to restart the Amiga with the netcard inserted. 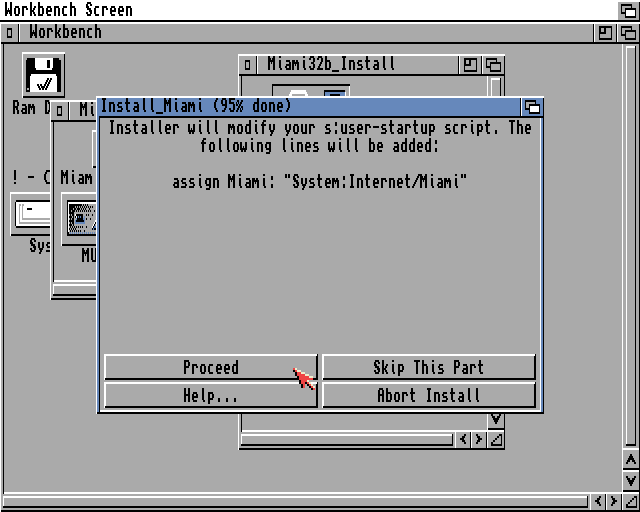 Next is the installation of Miami (MiamiDX is quite similar). 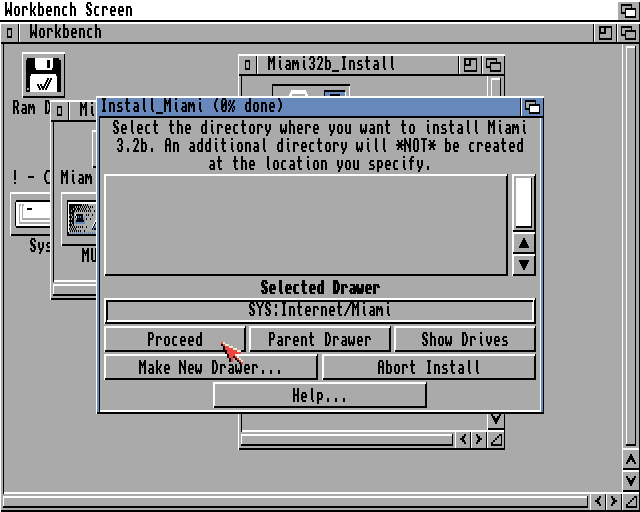 I don’t want to install Miami to the root of the drive, so I’m creating a new folder “Internet” – The location is up to you though. 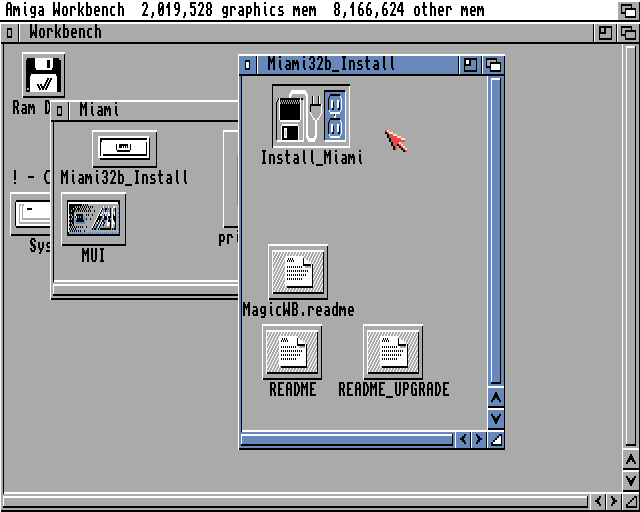 Here I’ll place the Miami folder. 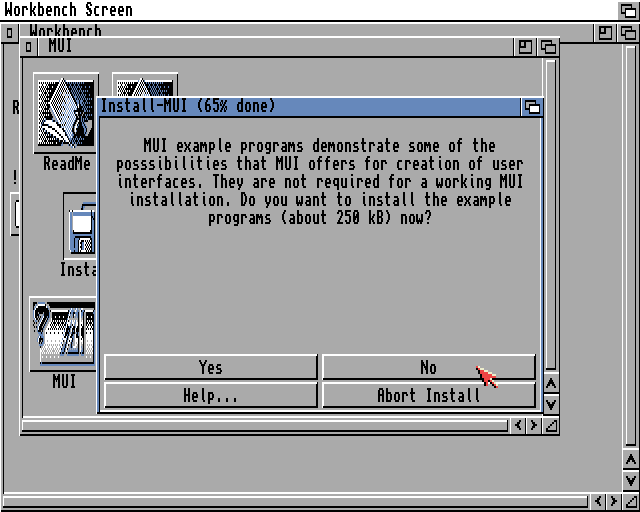 Since we only installed the MUI package, deselect the rest. Yes please, make the assign for us. Again yes please. 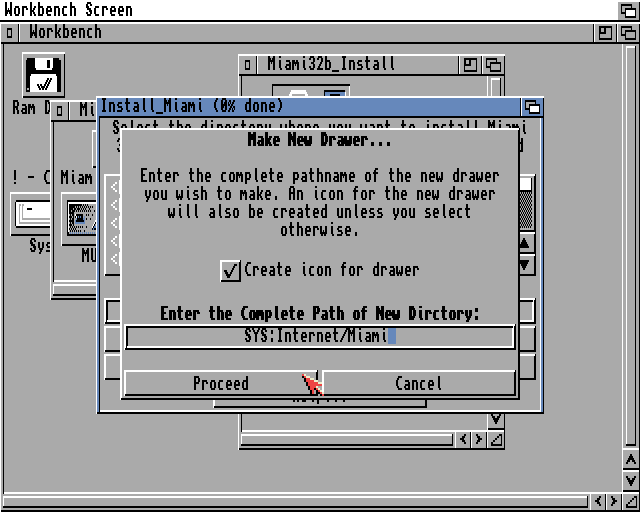 If you don’t have enough ram you can choose to “skip this part” but then you’ll need to manually enter the required info every time you’ll need network access. 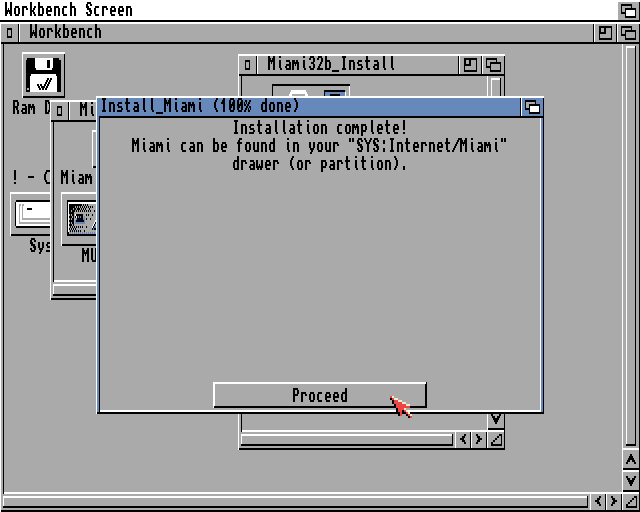 Ok, last step and the installation is finished. 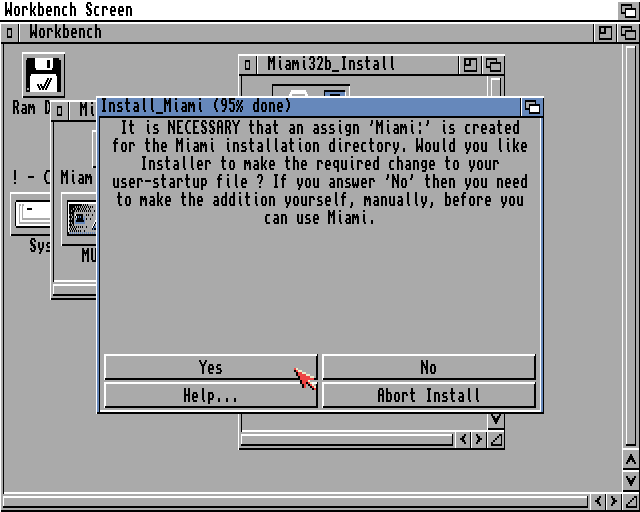 Time to copy the keyfiles to the directory where we installed Miami. 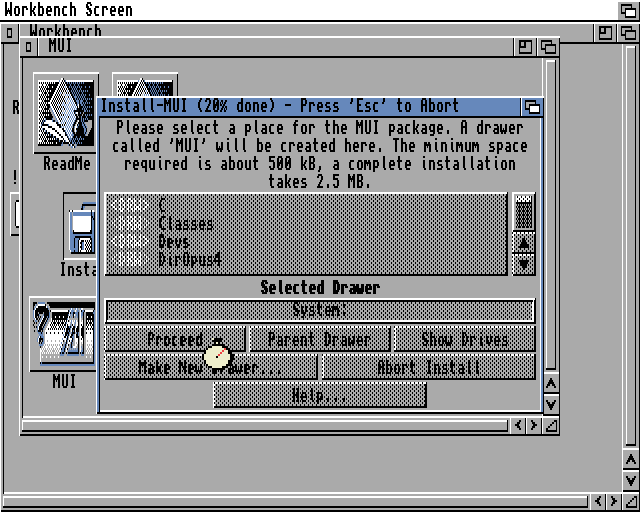 After the correct driver has been chosen the installation can proceed. 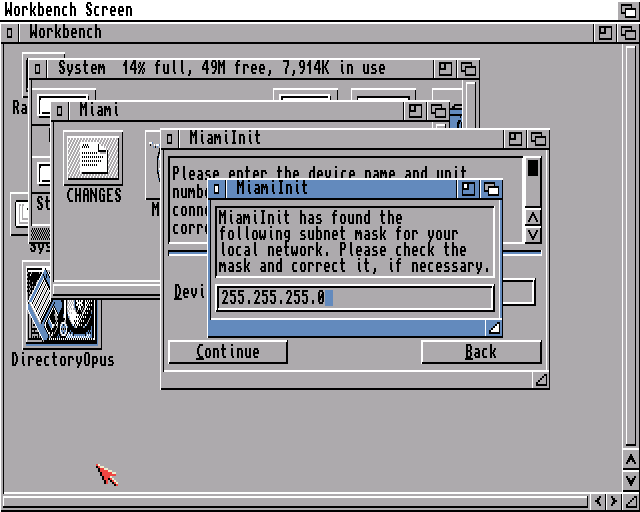 If the DHCP works you should receive IP, subnetmask, gateway and DNS, all you need to do is press enter. 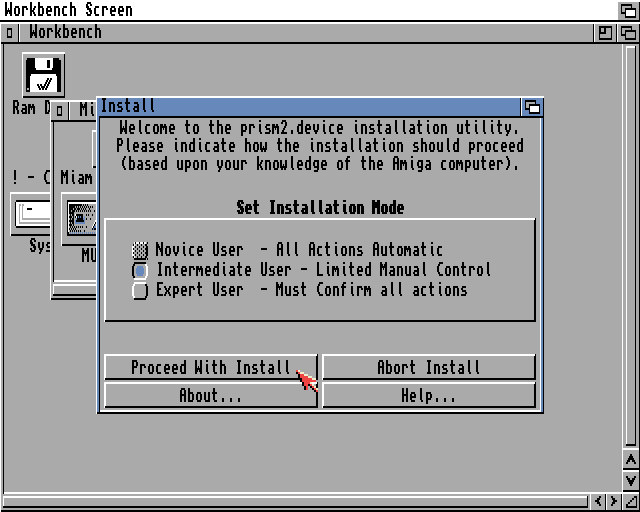 Otherwise you’ll have to manually input the correct info. 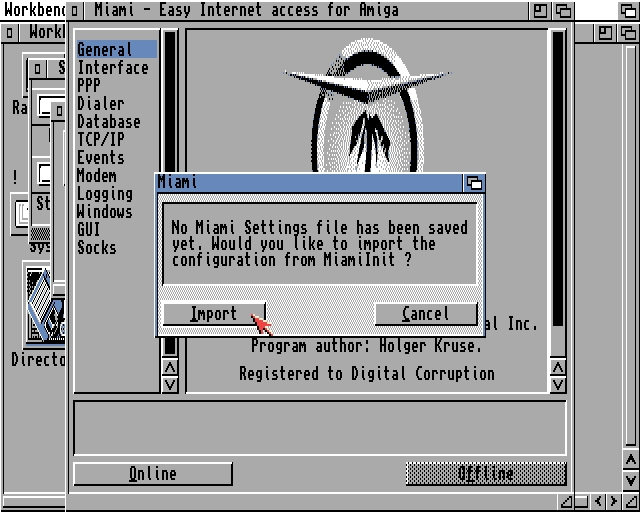 The name of the computer, it can be anything you like. 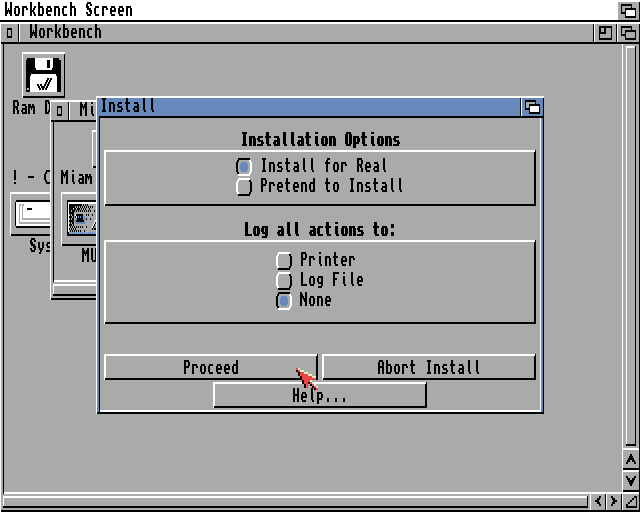 The most important here is to remove the checkmark for print information sheet. And fill out Real name/User name with something, anything. 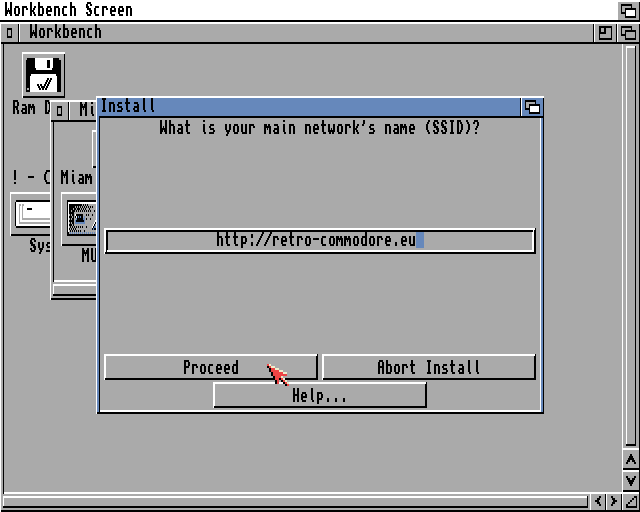 If you copied the registration keys correctly you’ll see this registration screen. 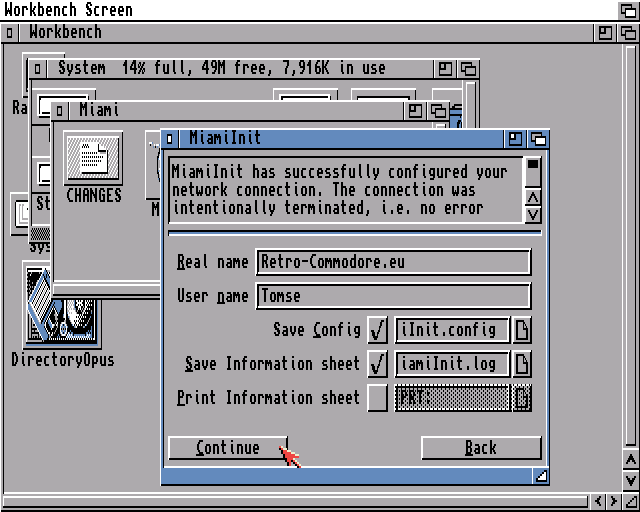 The config needs importing, so click the import button. 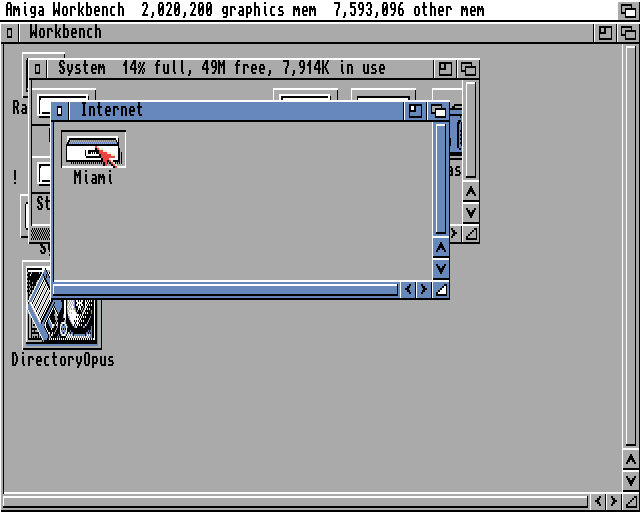 Ok, this window won’t disappear once you’ve gone online, so we’ll make it do that. 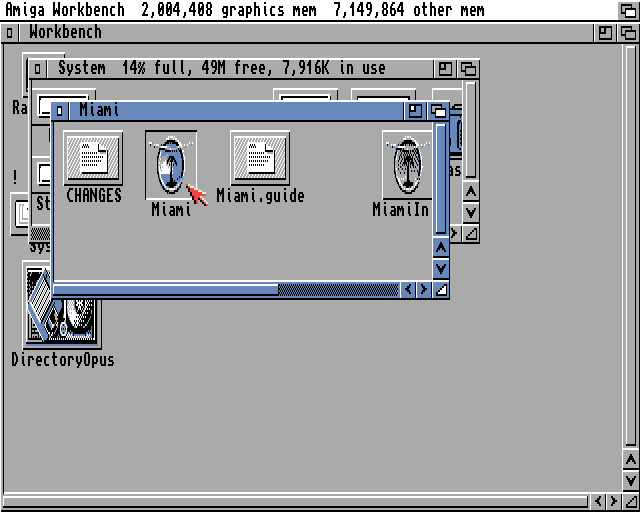 Click on the events in the left side menu. 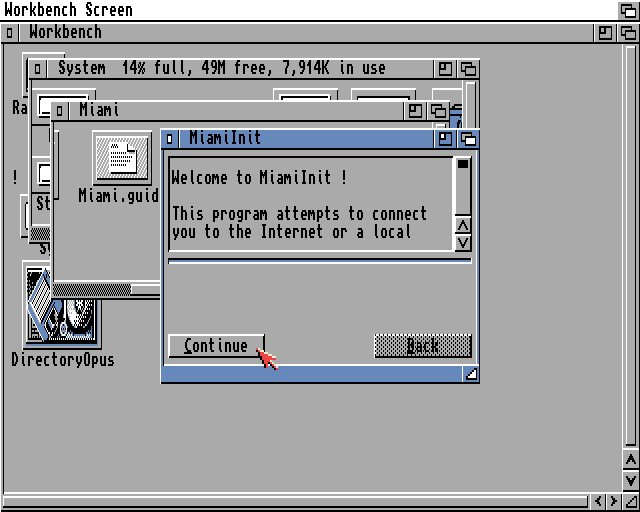 In the Start section, click auto-online, this will make Miami go online when the application is started. 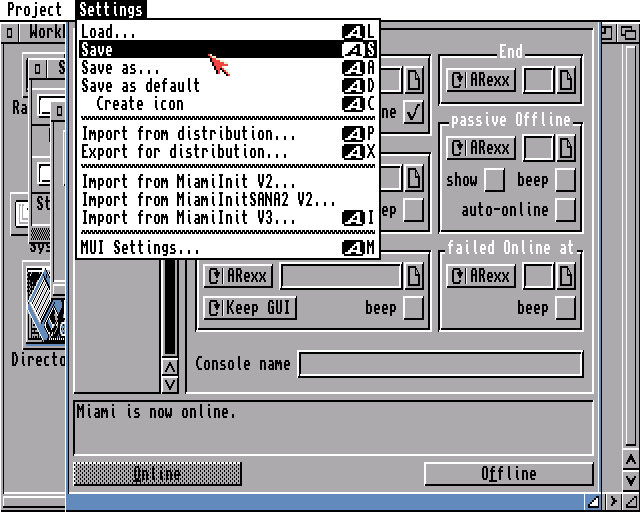 Rightclick on a non input area of Miami and you’ll get the menu in the top, Save the settings. 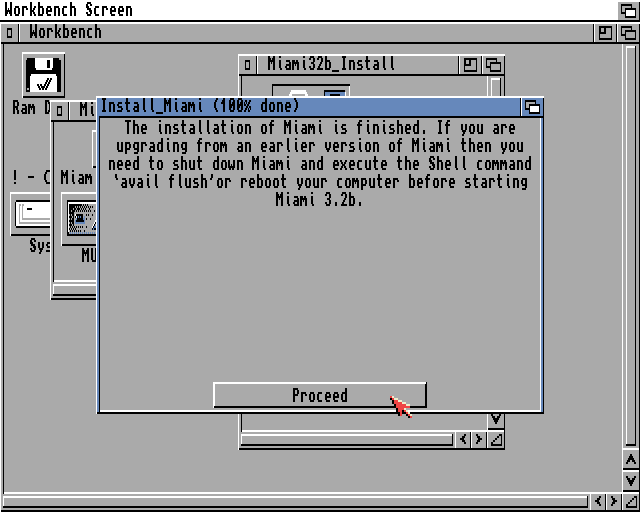 Now close Miami and restart the program again to check that it works. 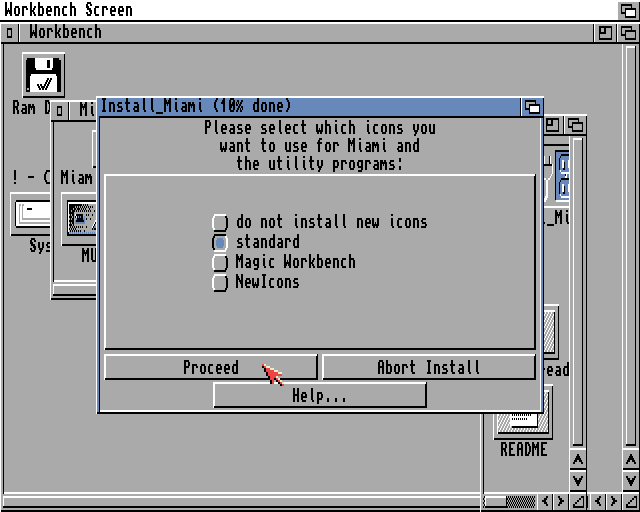 Miami should open up and minimize to an icon on the desktop. 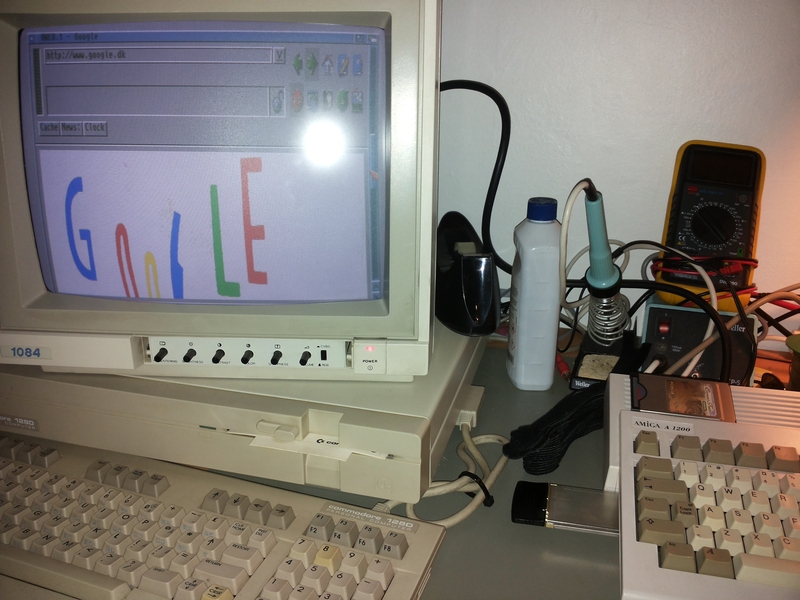 The final setup showing Googles page on the 1. 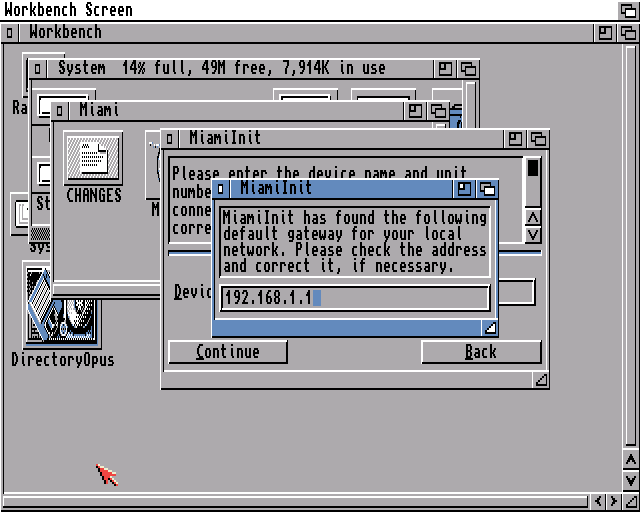 Jan 2015, the A1200 with wireless adapter. you could also find it interesting, what do you think ? Miami is unable to open device ‘prism2.device’ unit 0. 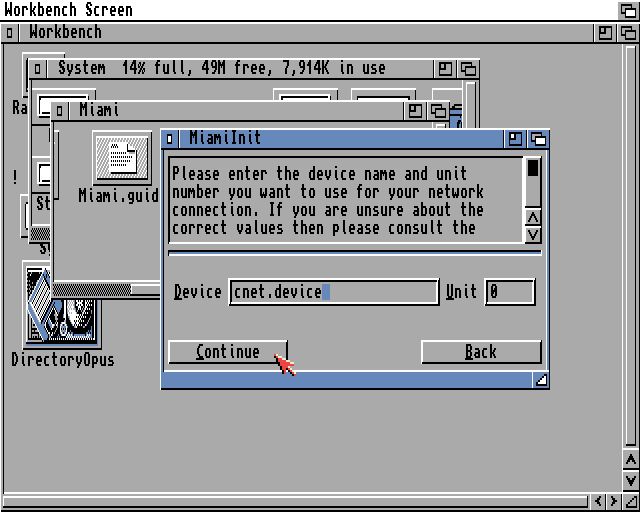 The device might be in use. sounds like you are using the wrong driver, or a wrong card. 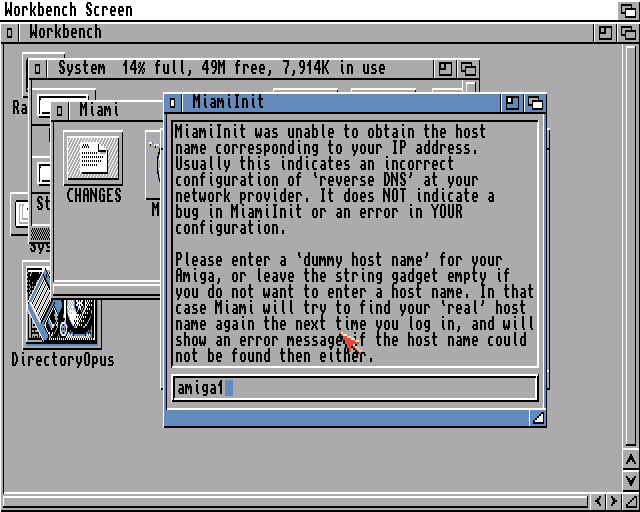 Had the same problem on WinUAE. 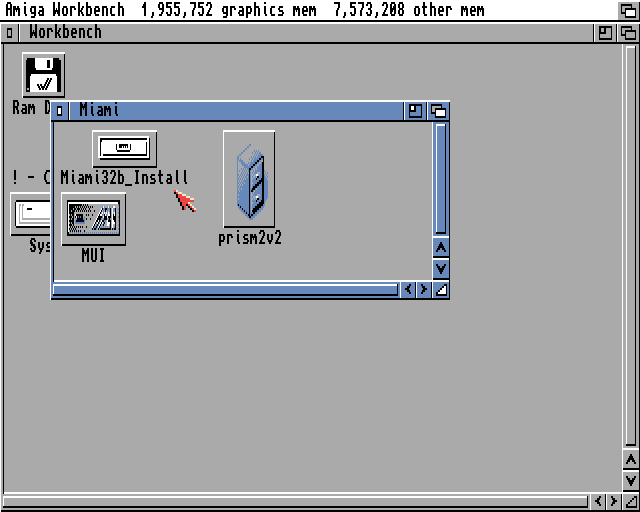 So I set the Network Extension to Commodore a2065 and downloaded that driver instead of prism. Package not existing anymore or wrong link? Very nice tutorial, thank you! 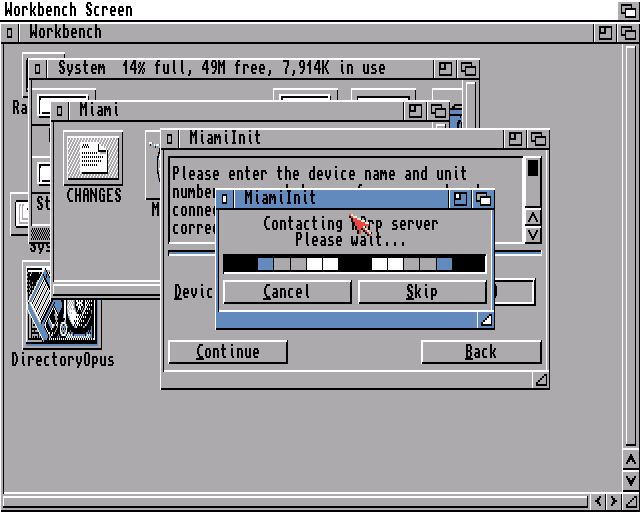 It even works on the winUAE emulator.